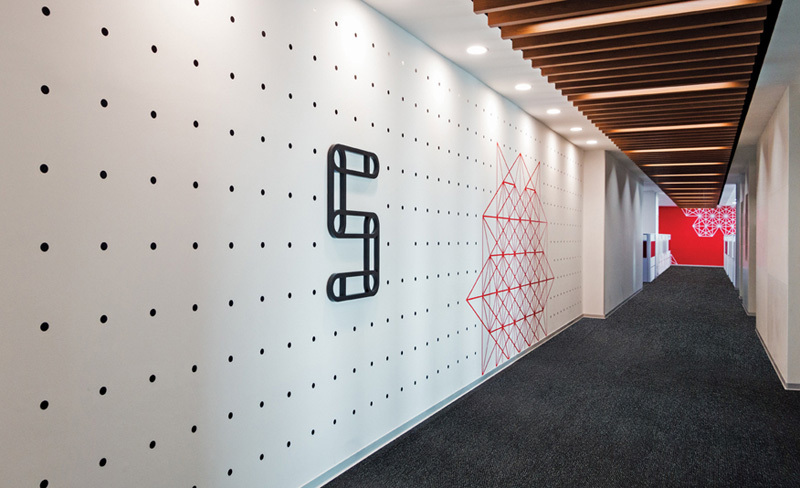 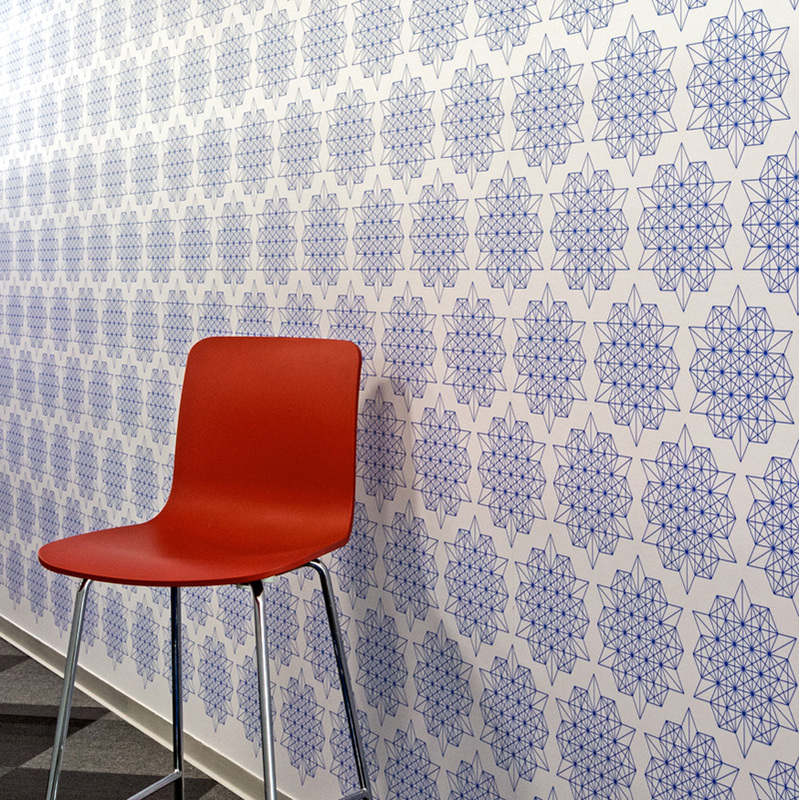 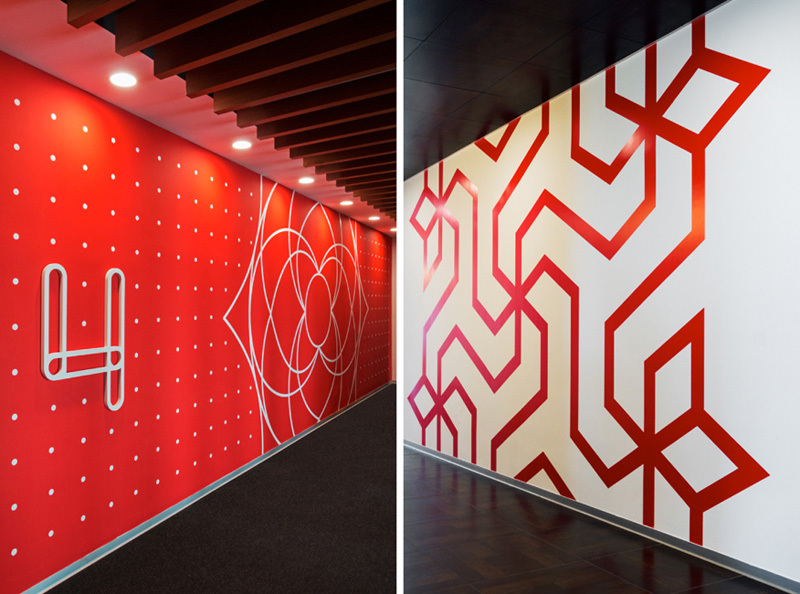 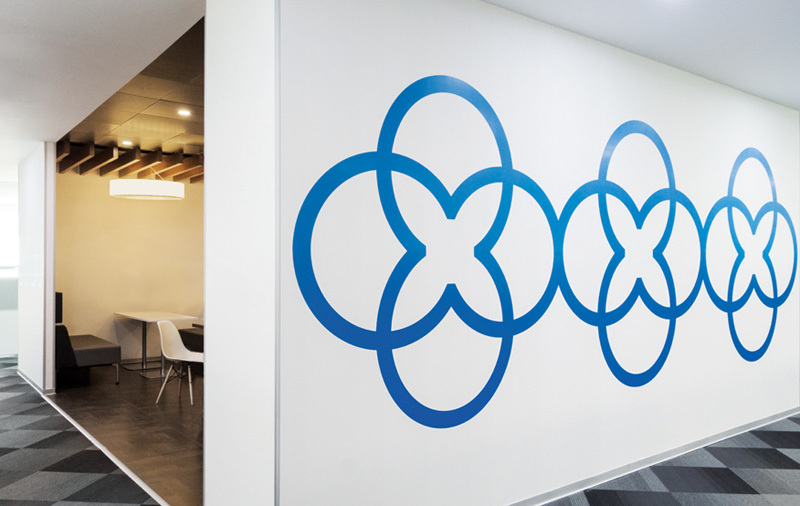 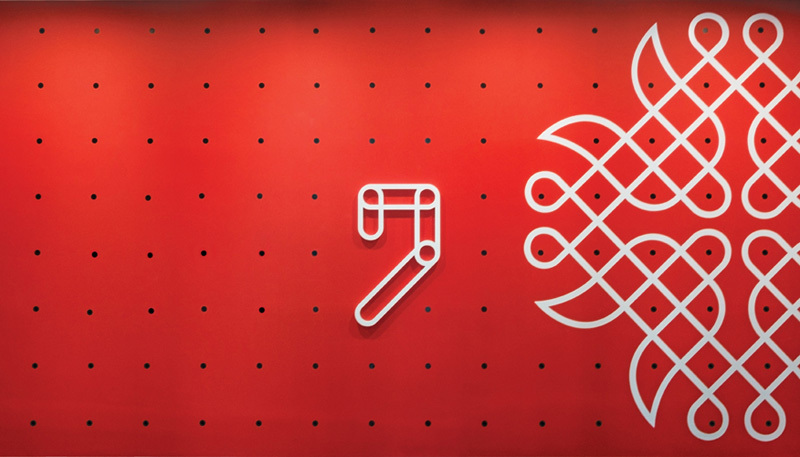 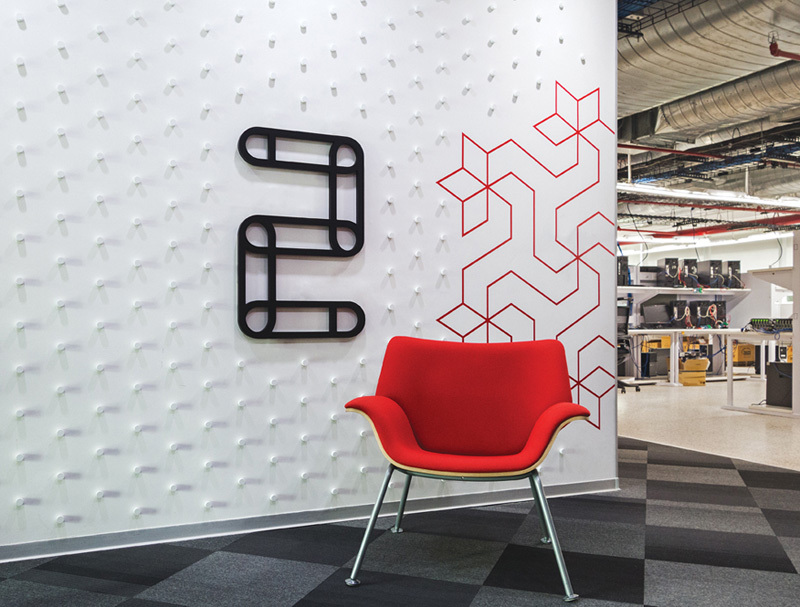 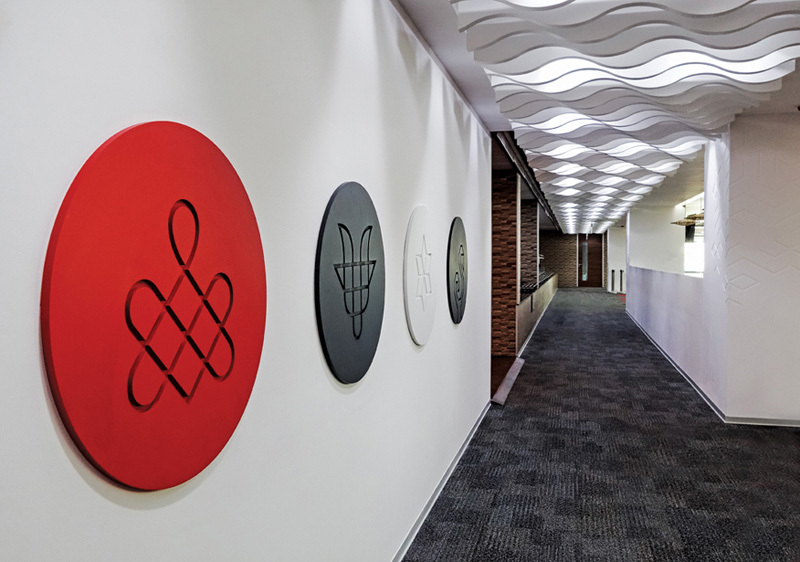 The graphic designers at tsk Design, were inspired by traditional Indian folk art when they created a variety of wall motifs, for the head office of SanDisk in Banglore, India. 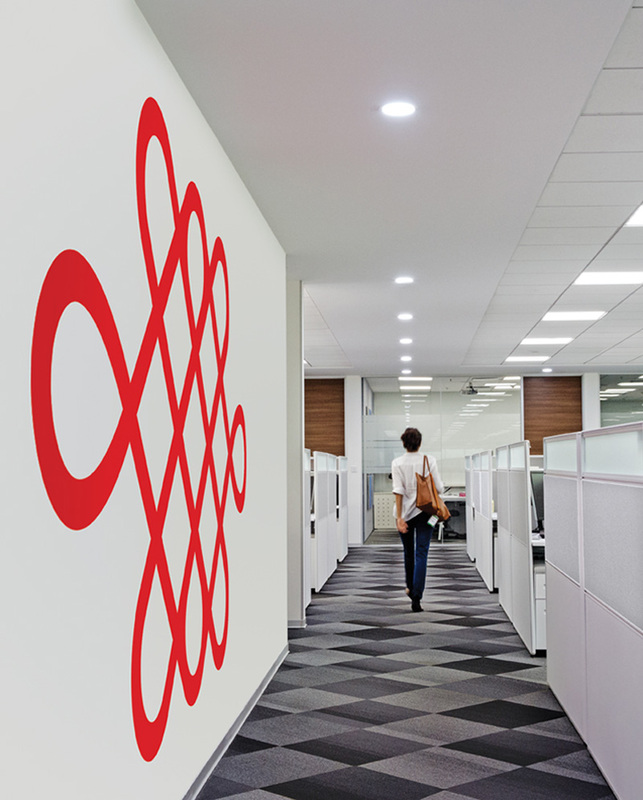 SanDisk is a global, innovation-led technology company. 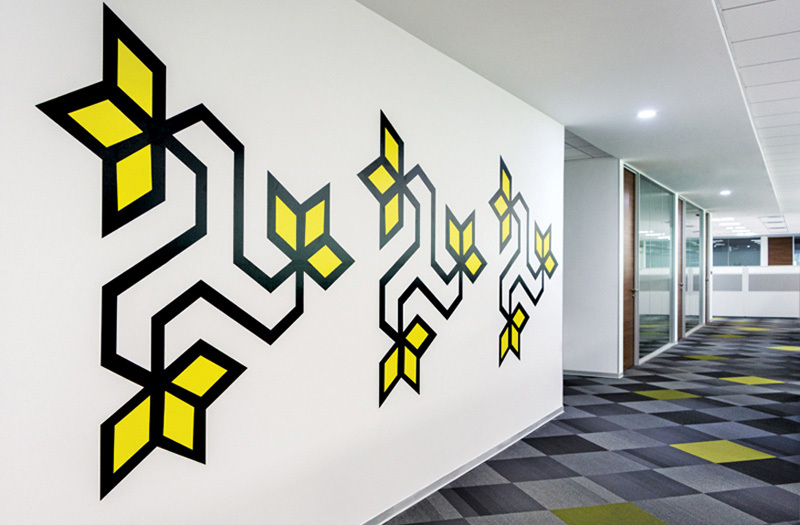 For its India headquarters in Bangalore, we were asked to enhance the space through environmental graphics that would have an “Indian” essence – work with the brand colours and integrate seamlessly in a contemporary space, appealing both to a global and local audience. 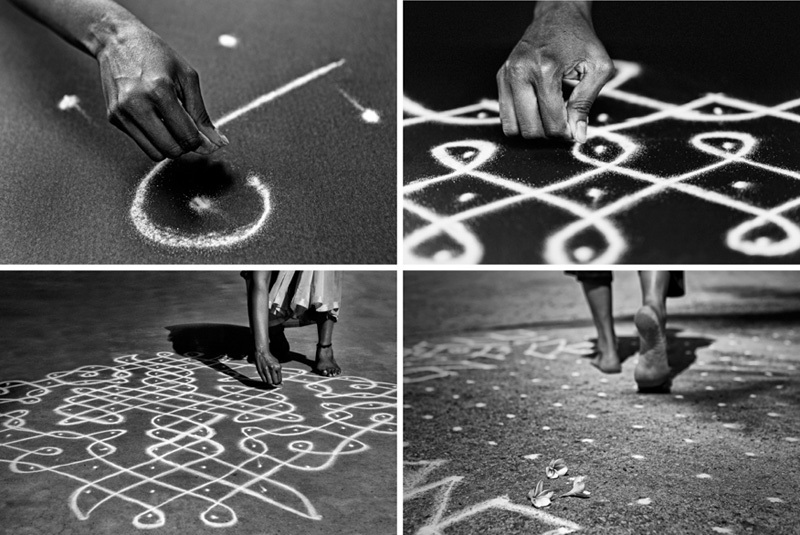 Kolam is a folk art that is hand drawn at the entrance of most homes in South India to usher in good fortune. 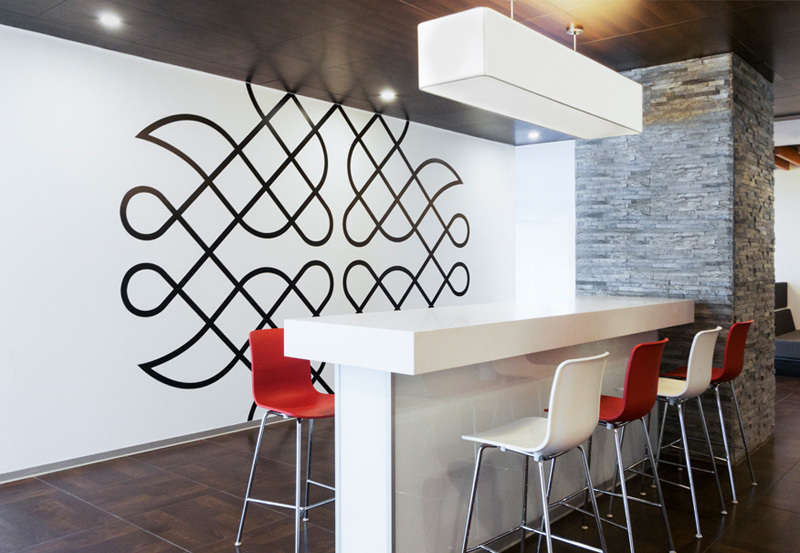 Composed of rice our, lines and curved loops are drawn around an underlying grid of dots. 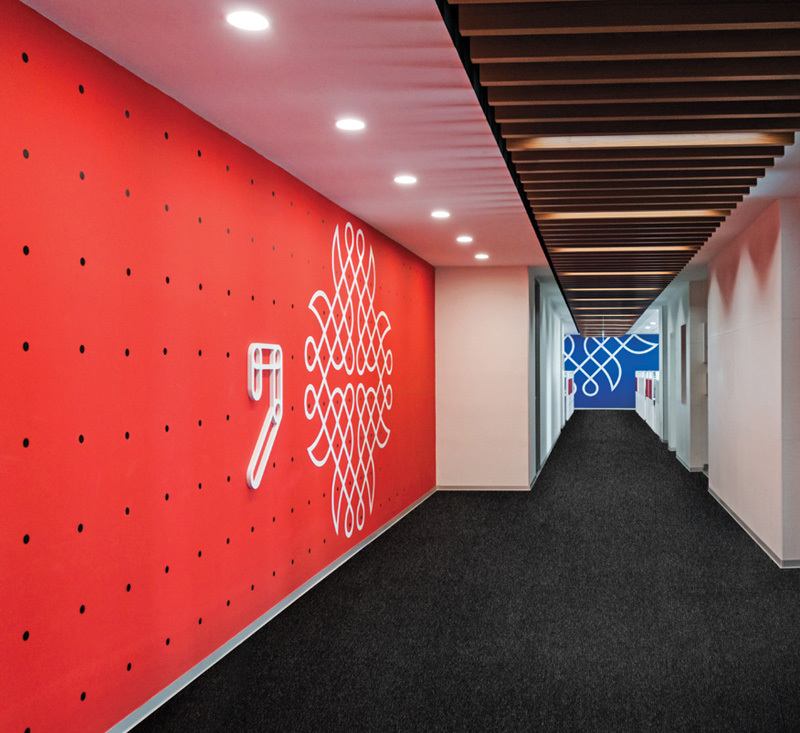 Bringing together contrasting aesthetics – rational/systematic (the grid) and decorative (uid looping lines), the Kolam forms the basis of our design. 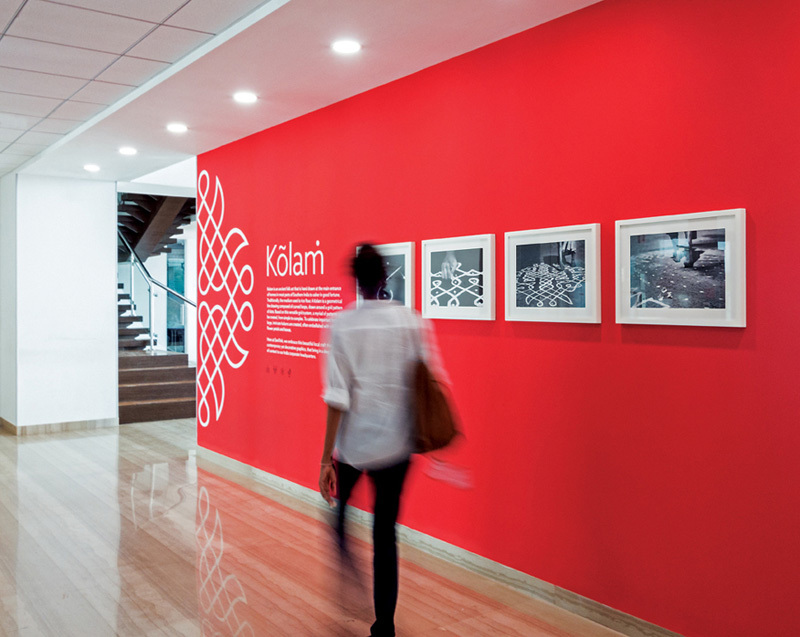 The Kolam grids were used to create a varied palette of patterns, signage and way finding graphics. 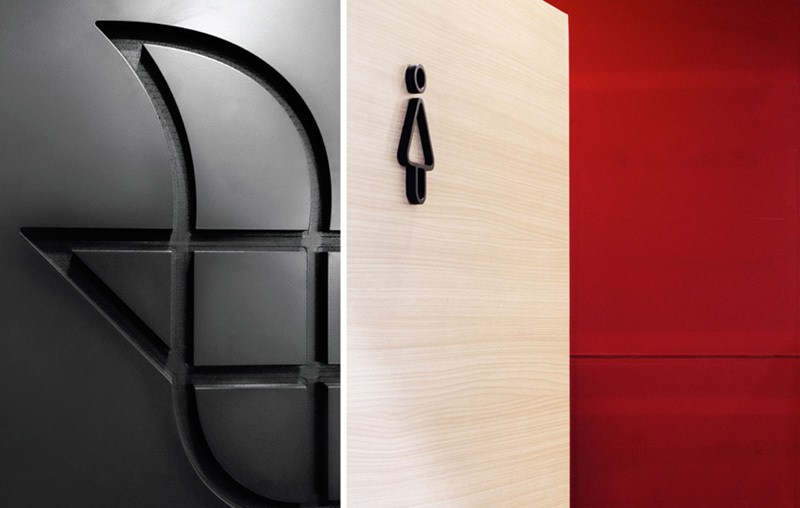 The versatile grid allows for significant variety in form and scale while maintaining a consistent identity throughout the building. 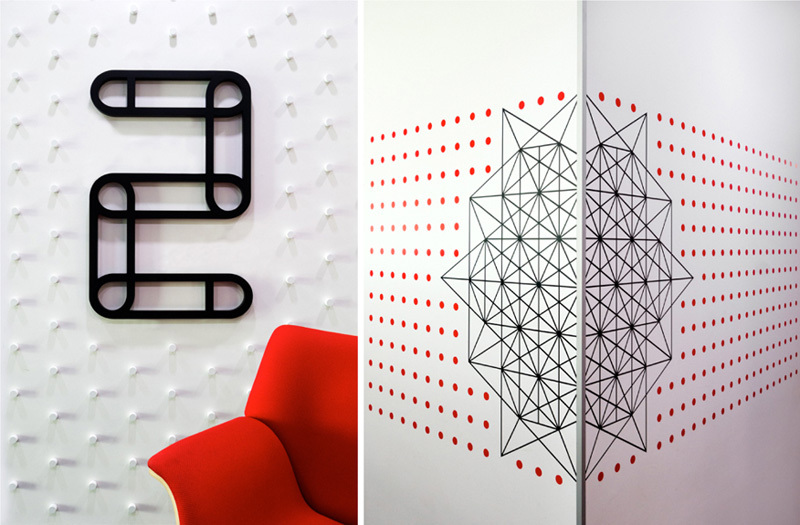 Laser cut vinyl stickers and wallpapers are juxtaposed with 3D pvc discs and motifs embossed into resin to create a textured material palette.